I'm going to go ahead and apologize for not posting more, as if I have disappointed thousands of disappointed readers. The usual excuses like work and laziness have affected the posting here. That isn't to say I haven't been writing. I have been writing (mostly) about the St. Louis Cardinals for Blogcritics. They have been mostly game recaps, so if you want to see what happened in Game 17, it'll be relatively easy to find. Also, I tried to put a little humor in there, so there's that. I am particularly proud of this non-Cardinals related post that involved a lot of research (at least for me). 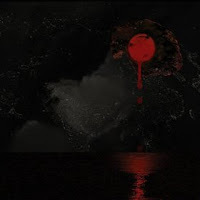 To what have I been listening? Two albums that I think are a couple of the best of the year are Cursive's "Mama, I'm Swollen" and Fake Problem's "It's Great to Be Alive." I have always been a lukewarm Cursive fan, with the exception of "Domestica," which I think is quite the masterpiece. While ""Mama, I'm Swollen" isn't as depressing as that album, it is as good. 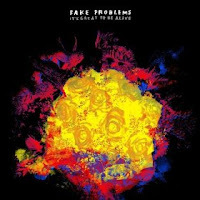 Fake Problems is a band that has been around for a while, but this new album on Side One Dummy Records is a vast improvement over previous efforts. They are adept at mixing simple folk punk songs with rich instrumentals (including horns!). I am currently listening to Death Cab For Cutie's new EP titled "The Open Door." Amazon is offering it for a buck today and it is a sound investment. Front man Ben Gibbard is quite the Mariners fan according to this article on MLB.com. While some rock stars sound forced or bored when they talk about sports, Gibbard sounds sincere. "We always (say) that we always kind of feel like the underdogs," Gibbard said. "Even when we're selling out Radio City Music Hall. To complete the analogy, it's like the Mariners having that 116-win season (in 2001). They had the best record in baseball, but they kind of didn't have the confidence to go all the way through the postseason." So that's an update. I'm not going to finish the Linear Notes and Rap Sheets, but I'll keep the one I did post because screw the AL East. We'll keep their crimes posted for posterity.